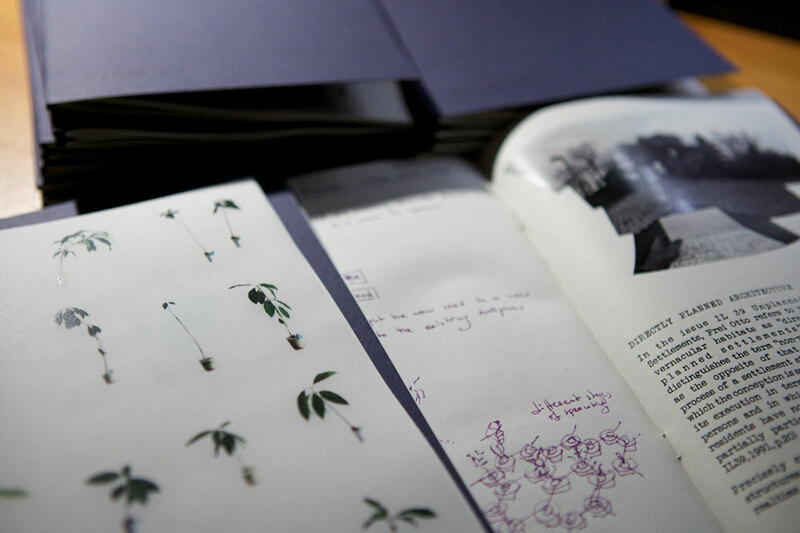 Catalogue edition limited to 85 copies. Copies are still available for purchase, send an email if interested in obtaining one. 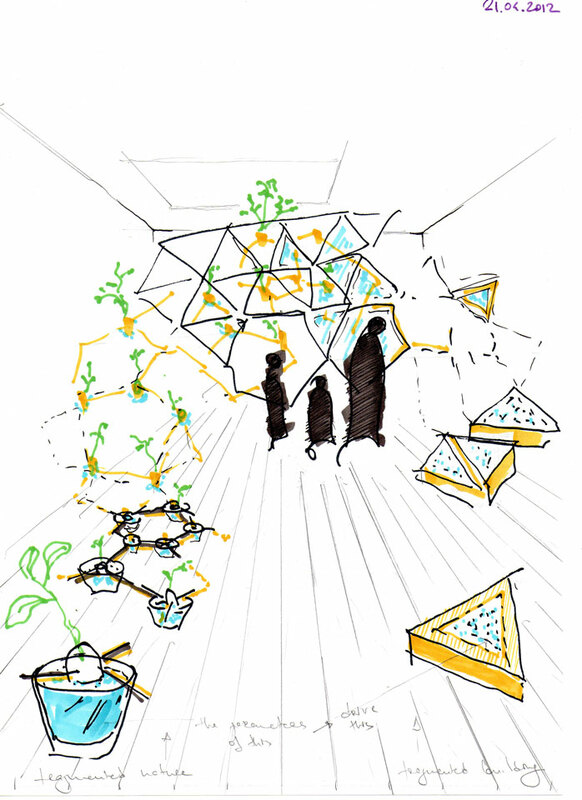 Project Avocado presents a vision for an architectural interface between individual residents’ preferences, voluntary participation and the organization of inhabitable structures. 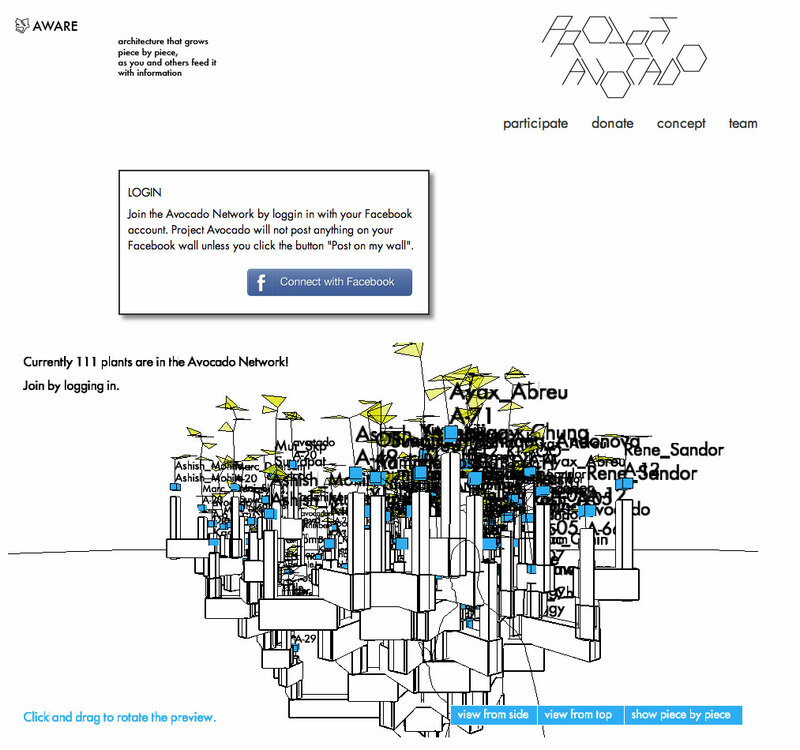 The project made use entirely of Internet sharing technologies to produce itself in full interaction with the “crowd”. 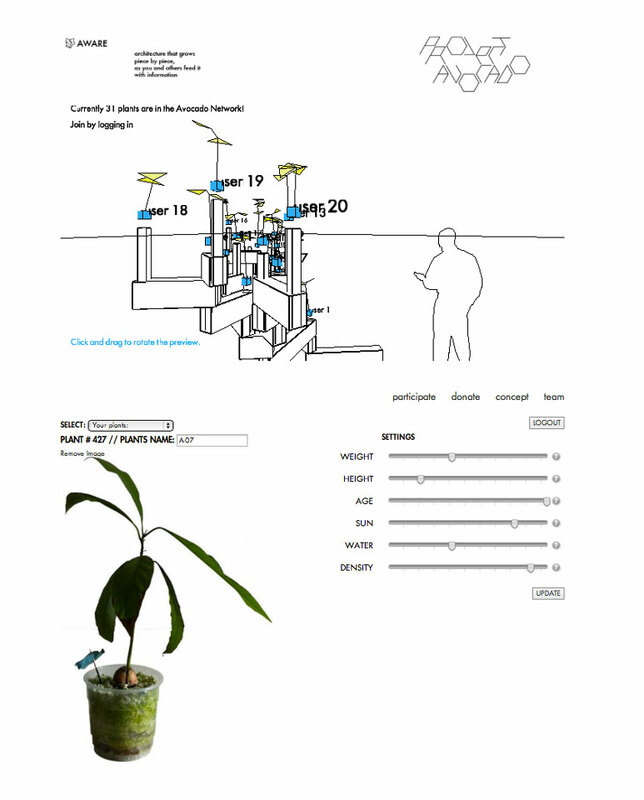 Project Avocado happened simultaneously in the Internet and in Platform Sarai, Frankfurt in September 2012. 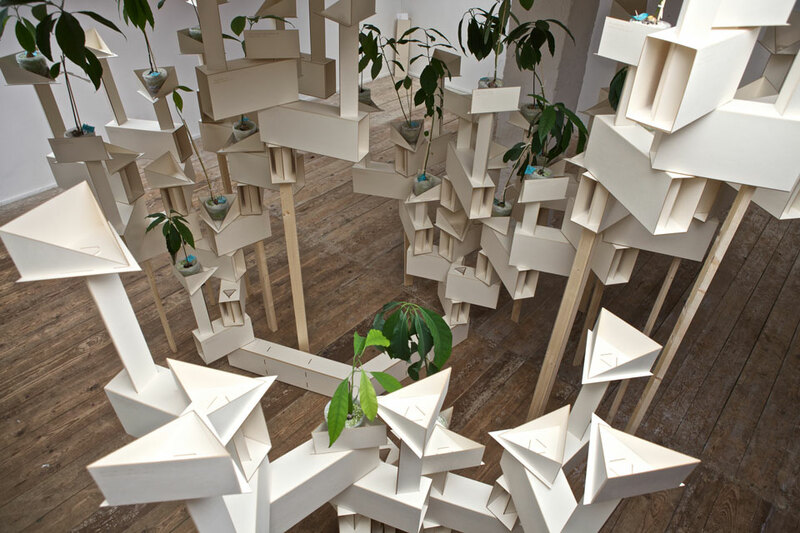 It generated an interconnected room-size structure housing around hundred live plants. In the period of four days anyone could sign-up on the project’s website and participate. By joining Project Avocado every participant got a virtual piece with their name on it. Each piece could houses one plant. Three settings affected the organization of all pieces with respect to water, sun and neighbors. 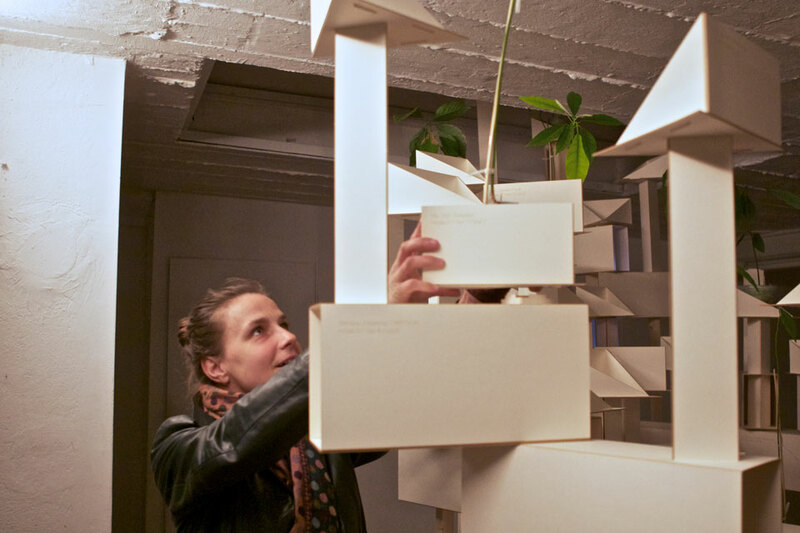 Each virtual piece in reality represented a unit made out of cardboard and consisting of 3 parts: a platform, a column and a box. 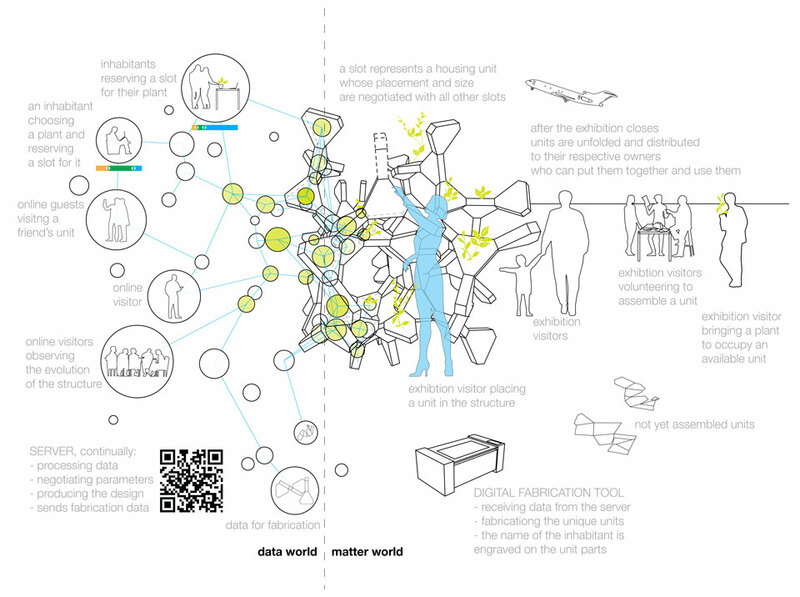 After digital fabrication was completed the spatial network was installed in Platform Sarai, Frankfurt. 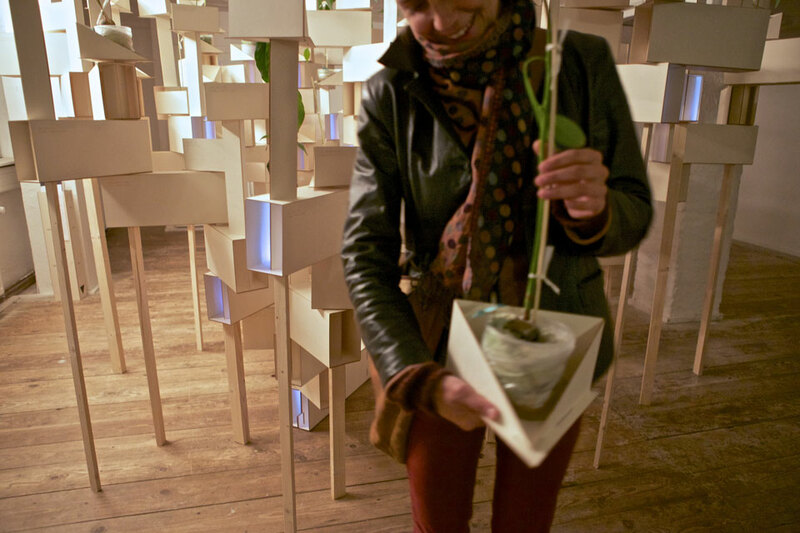 It kept growing between 12 and 22 September and at the finissage all avocado plants with their houses were given away to participants.